Join Videoslots this festive season as you’ll be given a proper treat. Great Christmas offers and some hefty prizes are up for grabs while this week they decided to surprise us with four fresh titles. Videoslots added four exciting video slots to its extensive offering and we are sure you will have a blast. 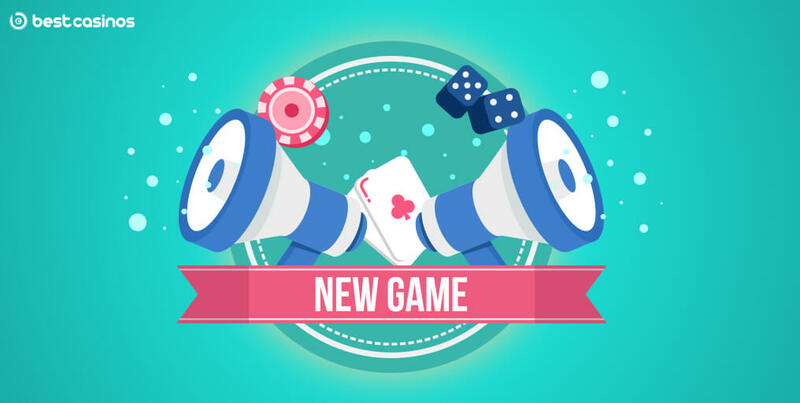 The slots are coming from two top-tier providers, Playtech and Yggdrasil, so we expect nothing less than high-quality graphics, engaging gameplay and interesting and lucrative features. Yggdrasil’s titles joining the party at Videoslots Christmas season are Baron Samedi and Chinese Kitchen. Baron Samedi is a 5-reel, 3-row, 25-payline slot playable on all devices between €0.25 and €125. It features 36 collectable features, including wilds, multipliers, guaranteed win lines, stacks and mystery symbols. The features are represented by tarot cards and every time at least two scatters hit the reels, three cards appear to bestow their bounty on the reels and also fill their corresponding collection. Bow down in front of the all-mighty lord of the dead in this creepy, voodoo-inspired complex slot. Chinese Kitchen offers a lot of fun and humour on its eight paylines on a 3×3 grid. Get ready to land some staggering wins while you enjoy some of the Chinese delicatessen dishes. Playtech titles, Jurassic Island and Fortunes of the Fox, offer a bit different vibe. Foxes are known for being cunning and devious but in Playtech’s 5-reel, the 25-payline slot you will see there’s more to them. Join the friendly fox, the humble dog and a hunter on this adorable adventure and you can hope to win multipliers, free spins, bonus games and instant cash prizes as you go down the memory lane with this popular childhood story-based slot. Based on the never-enough-exploited dinosaur theme, Jurassic Island offers 4 bonus features across 5 reels and 25 paylines. Available on all devices from $0.25 to $125, the slot looks superb with amazing dinosaur symbols. The game offers four bonus features, three of which reward you with free spins and the fourth with up to 120 times your stake. Multiplier Free Games feature, Carnivore Free Games feature, Raptor Free Games feature and Hot Shot Hunter Bonus feature are waiting for you so start collecting those scatters and up to 40 spins can be yours.